Give your wall a unique pop by creating a piece of home decor with the technique of dimensional string art! 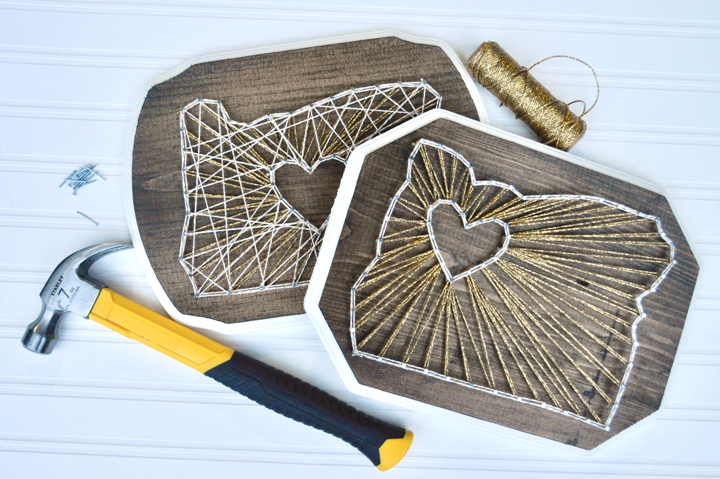 We’ll be honoring our beautiful state of Oregon with the design and you’ll have a chance to customize yours with the string pattern and color of your choice. In this hands-on class you’ll learn the steps involved, including staining and painting the wood, forming the outlines with hammer and nails, and then weaving the strings. All necessary tools and materials will be provided and you’ll head home with a finished 9”x12” original piece of art. Callie McAuliffe is a native Portlander who found her love of arts and crafts at an early age. After briefly experimenting with many mediums such as acrylic painting, block printing, and watercolors, she finally found her favorite creative outlets. Artist and creator behind Designs Da Lúa, she specializes in paper quilling, pyrography, and string art. Callie loves bright colors and drawing inspiration from the beauty of the Pacific Northwest. She has been teaching classes since 2018, and when not teaching arts and crafts, she is teaching students life skills as a school counselor. Craft nights and crafternoons are some of Callie’s favorite things, especially when they bring makers together!